The success or lack of success in our relationships has so much to do with what’s in our heart. This week I want to encourage you to do a heart check. What’s the condition of your heart right now? How much of that condition is affecting the way that you treat your spouse and the way that you treat others? Has your heart been hardened? If you have bitterness, anger, unresolved hurt and pain in your heart, often times, this is what you will project in your relationships. One may try to hide it in public but often times the people who are the closest to us such as; our spouse or our children end up getting hurt. On the other hand, if there is love, patience, joy, peace and forgiveness in your heart, this is what you will project. We must check our hearts on a regular basis so that we can keep it in good condition. Since the enemy wants to steal, kill and destroy, he would love for us to have hardened hearts. A hardened heart is one that refuses to see, understand, hear and forgive. 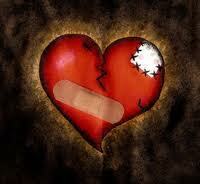 When things happen in our relationships that hurt us or disappoint us, we all can get a hardened heart. However, it is so important that we don’t stay there. When the heart stays hard, it causes major problems. These problems could lead to death. Relationships and marriages die because of hardened hearts. Remember that God is in the business of heart surgery. He can change, heal and restore any heart. Nothing is too hard for him. The Bible tells us if we confess our sins, He is faithful and just to forgive our sins and to cleanse us from all unrighteousness (I John 1:9). Let us do the same thing in our relationships. Be willing to forgive and don’t allow the wrong feelings and emotions to build up. If you have a hardened heart or are dealing with someone who has one, pray. Ask God to clean your heart and take out anything that is not like him. Take the medicine of God’s Word everyday. He will make a hardened heart soft again and keep our hearts in good condition! Excellent! I will share at my women’s fellowship in February. Our theme is ‘Matters of the Heart’. That was a great word! I have shared this with a few friends.